Take up a TRIAL Membership now and get £50 deducted from whichever membership category you decide works best for you. 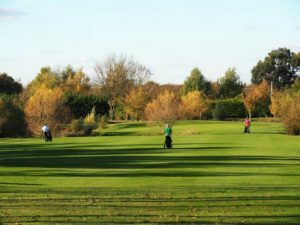 Our Trial membership is just £80 and includes a free golf lesson too! It really is just as important to us, as it is for you, that you are happy and comfortable at our club, so that is why we give you the chance to trial us before you commit to paying for a full year. If you do decide the fit is right for you, and you commit to joining us before your trial expires, we will deduct £50 from whichever membership category you choose is best for you. Unlimited golf 7 days a week with priority tee-times at weekends. 1 FREE Lesson with our PGA professional Adrienne Engleman, (worth £30). Reduced guest fees for up to 3 at a time. If you roll the trial, (taster), membership straight on to join as a full member we will deduct £50 from whichever membership you decide to take up. Just email info@colmworthgolfclub.co.uk or call the clubhouse on 01234 378181 to ask for an application form.